With thanks to Pierce Family Estate for providing photos and to Margaret Urquhart for providing us with an invaluable bit of history. 1935 The Catholic Deaf met as Australian Deaf and Dumb Association Victorian Branch. Bro P J O’Farrell was the president. 1936 Fr Phillips cm Chaplain for Adult Deaf in Sydney, came to Melbourne to give the first retreat for deaf people. It was held at St Vincent’s Orphanage in South Melbourne.That year, Fr John Pierce was appointed Victoria’s first full time chaplain to the deaf community.Masses were celebrated in Armadale parish and St Francis in the city. 1936 – 1971 Frs John Pierce, A Briddgewater, E Fennessy, W Durkin and J McCarter presided at the Association and acted as Chaplains. 1971 The first Ephpheta Mass was celebrated in Victoria in 1940.Fr John Pierce found the property for the School for Deaf Children at Portsea in 1947 and the school opened in 1948. Fr J McCarter brought the hard of hearing people to our gatherings. 1972 Fr Peter Robinson was appointed full time operating from the premises of Good Shepherd Convent, Chadstone. The Archdiocese funded his stipend and car. All other monies were raised through raffles and donations.Masses were celebrated at VDS Jolimont for some years, as approved by the VDS manager, Mr John Flynn. Here Fr Peter set up a committee of deaf people, relatives of deaf people and professionals to meet monthly after Mass. 1976 It was agreed that a grant from the annual Ephpheta collection, previously given to St Mary’s, Portsea be given to the chaplain to finance the activities of the Catholic Deaf Community. 1978 Fr Peter organised a three day seminar at the National University in Canberra. It was attended by priests, religious sisters and brothers, deaf people and parents of deaf children.From this seminar, the seed was sown to set up centres for deaf people in each state and a committee to work with and for deaf people. A national committee was also set up and known as CADHIPA, Catholic Association for Deaf and Hearing Impaired People of Australia.As time went on, many state committees became diocesan committees. The presidents of Victoria and then Melbourne can be seen on the honour board in the foyer of JPC. 1979 Fr Peter Robinson, Mr Bryan A’Hearn and Dr Pierre Gorman were the driving force in finding a suitable place to set up John Pierce Centre. Finally, the site of Holy Redeemer School in Ripponlea was supported by the Archdiocese as the place for JPC. The Archdiocese supported JPC by charging no rent as paying the chaplain’s stipend and car expenses.A board of directors was set up as a Company limited by guarantee on 29th December 1979. 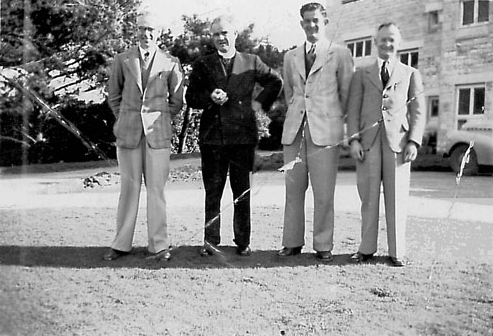 The first chairman was Neville Colbran and the first company secretary was Bryan A’Hearn. 1979 John Pierce Centre opened unofficially in March 1980. Then in August 1980, it was officially opened and blesses. Two sisters were employed: Sr Vendremina Puiatti rsj and Sr Maureen Sheehan msc and a secretary was also employed and volunteers worked in the office, kitchen and garden. Gail Finn worked at JPC until she went to America to study and work.The annual Ephpheta collection given to the chaplain was to be given to JPC.Fr Peter celebrated Mass on the third Sunday of each month, helped by interpreters of Auslan, oral and cued speech.The early education program was set up and Sr Joan Winter op was the first principal until 1992.Fr Peter organised family camps at Porpunkah for many years in January of each year. 1983 –1986 Barry O’Callaghan became chairman of the Board. Fr Greg Reynolds was appointed f/t chaplain of the deaf.He appointed a manager who stayed only a short time and then appointed Jack Miller as manager (a voluntary role)National Conferences organised by CADHIPA continued in a different state each year.The first Deaf Encounter Christ long weekend at Romsey was held in 1985. Fr Greg was the spiritual director. In 1986, DEC was held at Holy Cross Monastery Templestowe.50 years of Deaf Ministry was celebrated with a dinner dance held at the Civic Centre, Camberwell. 1983 –1986 Bryan A’Hearn became chairman of the Board and Jack Miller became Company SecretaryBy now, Fr Greg Bourke was f/t chaplain. The 3rd Dec was held at Holy Cross Monastery Templestowe and Fr Greg was the spiritual director.All other activities continued. 1987 –1989 Bryan A’Hearn became chairman of the Board and Jack Miller became Company SecretaryBy now, Fr Greg Bourke was f/t chaplain. The 3rd Dec was held at Holy Cross Monastery Templestowe and Fr Greg was the spiritual director.All other activities continued. 1992 –1995 In 1992, a professional art show was held at JPC. One of the artists and advisors was Peter Adams.By 1995, Fr Greg Bourke had been appointed p/t administrator of Prahran Parish and became p/t chaplain of the deaf. The Archdiocese was desirous of using the property at Ripponlea, so the Deaf Community was relocated to Prahran. The move was funded by the Archdiocese.At that time, because Prahran was a parish, Mass was held every Sunday. There were 2 Masses each week. The earlier one was attended by mainly hearing people and the later one was the Auslan Mass, attended by deaf people, some hearing people and the blind and vision impaired people at Villa Maria opposite. 1996 Fr Julian Langridge had replaced Fr Greg sometime in 1995Jack Miller resigned as manager and Bro Frank Hennessy became the manager.Fr Julian Langridge resigned in 1996 and the Deaf Community was without a chaplain. 1997 Sr Janette Murphy rsj was appointed to JPC and worked in the liturgy and pastoral areas. She used to find priests to celebrate the 3rd Sunday Masses.The parishes of South Yarra and Prahran amalgamated and Fr John Barry osa became the PP. 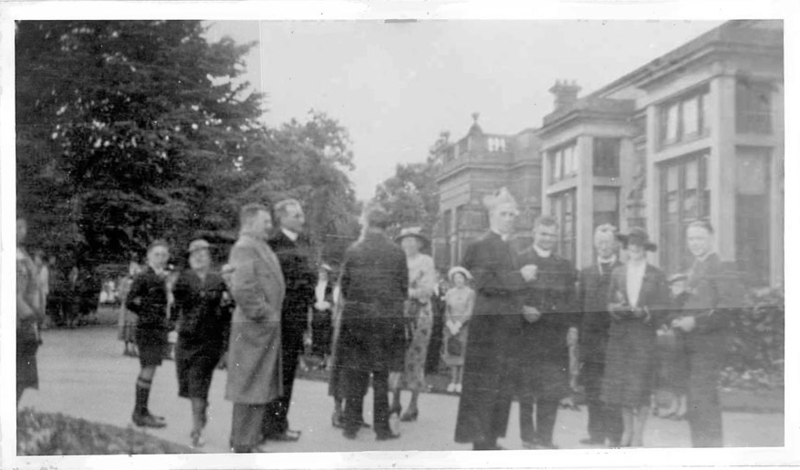 The Parish house was sold.Sunday Mass on the 15th June commemorated the 75th anniversary of the blessing and opening of the school building occupied by JPC. Monsignor Cudmore was the celebrant.An approach was made to Archbishop George Pell to have the bible translated into Auslan. 1998 National CADHIPA closed at a meeting in Sydney. Most state groups continued and became diocesan groups. Melbourne eventually became CADM inc until it closed in the mid 2000’s. 1999 Fr John Hill cssr was appointed p/t chaplain, funded by JPC. He worked in this role from 2000 until 2005. 2000 Bryan A’Hearn resigned as a chairman of the Board. Julian Lucas became chairman of the Board.The inaugural deaf party was held on 21/9/2001 and the profits went to Signee Tots and other deaf groups.The 2nd deaf party was held in 2002 and no more have been organised. 2003 The decree dismembering the parish of Prahran was signed by Archbishop Denis Hart on 15/01/03. From then on, parishioners could attend St Joseph’s South Yarra or St Mary’s East St Kilda. Some chose to continue coming to 3rd Sunday Mass for the Deaf Community.In the December, the Board made a decision to accept an offer from the Archdiocese to relocate the Centre to the church. This entailed many meetings and discussions to obtain all the ideas and needs. An architect was employed. 2004 A steering committee was set up to encourage St Vincent’s Health to initiate a Deaf and Hard of Hearing Friendly Health Service. Some deaf people from JPC were involved in teaching staff basic Auslan. 2005 –2010 Sr Janette became Chaplain of the Catholic Deaf Community from late 2005 until the end of 2010.When Julian Lucas resigned as chairman, Bro Frank Hennessy became acting chair until Patrick Gallagher became the chair.Bro Peter Finnigan became acting manager, followed by Own Putney, Michael Nash and Rebecca Miller.The move into the refurbished church now JPC occurred in August 2008, following Ephpheta Sunday. Groups gradually moved across during the rest of the year.The first Board meeting in the new premises was on 20/08/08. The annual cocktail “Thank you” party continues to be held in October / November each year. It is a board function but for many years, was set up by the Staff. 2011 Fr John Hill has resumed as part time chaplain. He works 2 days per week at JPC and is currently involved at St Mary’s Wantirna.Many groups are involved in various activities at JPC including Pankina Seniors group, Signee Tots and Deaf Art.3rd Sunday Mass continues. Patrick Gallagher remains chair of the Board. The newsletter has dropped back to 3 issues per year in recent years and no major sponsor has been found. 2011 Rachel Miers was appointed as the first Deaf manager.Rachel has had 12 years working with Hyatt Hotel Canberra in many areas of finance operations. She also worked as Community Liaison Manager for Deaflympics 2005 Melbourne and Manager for Victorian Council of Deaf People (VCOD), (for five years) an advocacy organisation for deaf community. JPC is very fortunate to have Rachel lead the team and to grow the centre. 2013 Theresa Mills appointed Chairperson in April 2013.Bro Frank Hennessy received the 2013 Directors’ Award. 2014 JPC is recognised as the Deaf Organisation of the Year by ASLIA and Deaf Vic.Ms Maree Gilbert received the 2014 Directors’ Award. 2015 The board of Directors continue to meet 6 times a year.John Davies received the 2015 Directors’ Award. John is a most worthy recipient and was acknowledged by the board at the April meeting. You can read Margaret Urquhart’s speech here, which clearly identifies how important John has been to JPC. The contribution of John DaviesThere have been a few changes to the Board of Directors this year. For a list of names of our current board of directors, please click here.